Westin’s Ultimate Bull Bar is a front-end product that bring out the “off-road” personality in your vehicle. 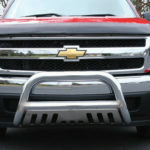 It is made of chrome plated stainless steel or black powder coated mild steel and are designed with a tube diameter of 3 inches for larger trucks and SUVs and 2.5 inches for smaller vehicles. 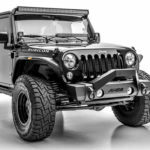 The Ultimate Bull Bar includes a polished stainless steel skid plate that helps protect the vehicle’s undercarriage and provides classic off-road style. 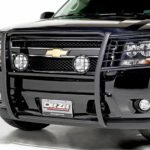 The skid plate also features a laser-cut Westin signature logo. 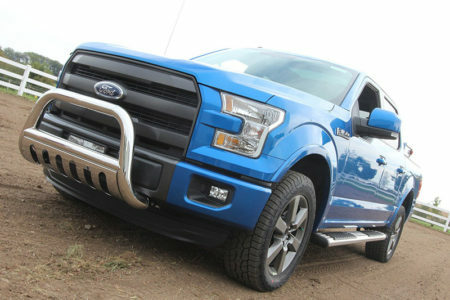 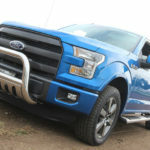 Ultimate Bull Bar applications are bolt-on and come complete with vehicle specific mounting kit. You bought your truck or SUV for a tough, mean appearance and what better way to enhance the already rugged looks than with a Dee Zee bull bar. 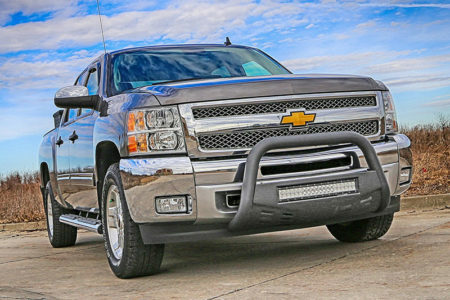 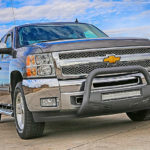 Not only do these great push bars enhance your trucks looks, but also add a layer of protection. 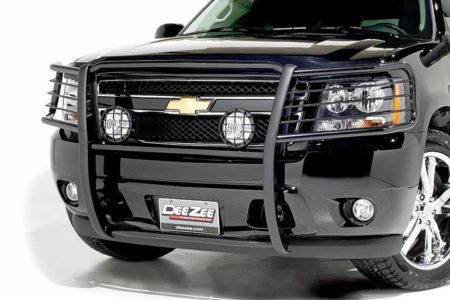 Dee Zee constructs the bull bars from high quality 3″ round steel for superior strength and rigidity. 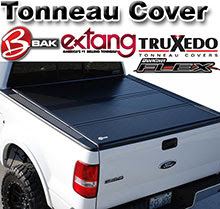 The included skid plate adds extra protection when driving down the road. 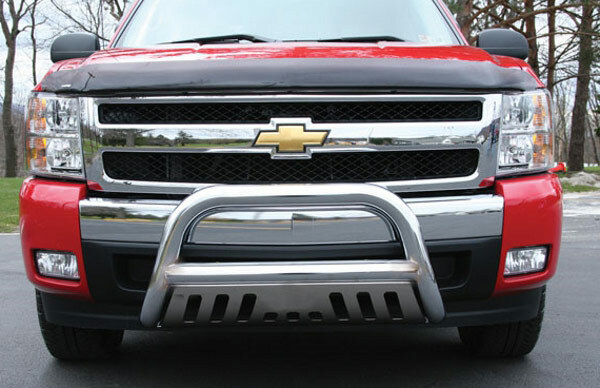 Predrilled holes in the truck push bars for auxiliary lights make adding extra visibility easier. 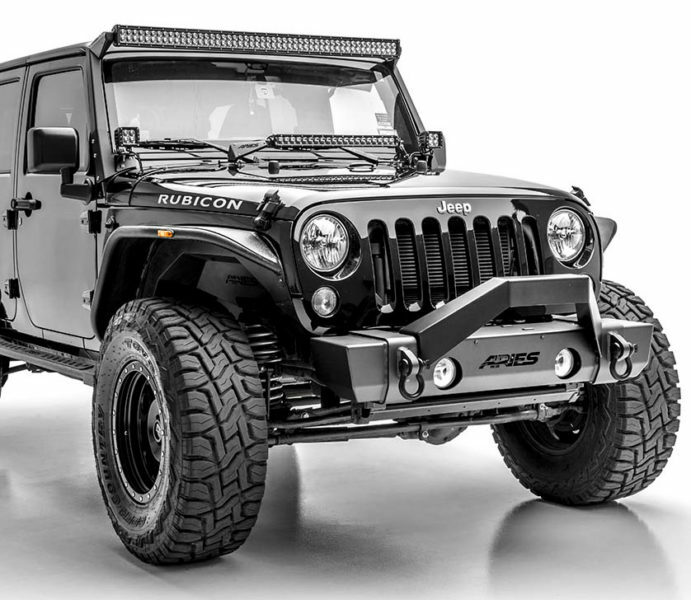 Lights are sold separately. 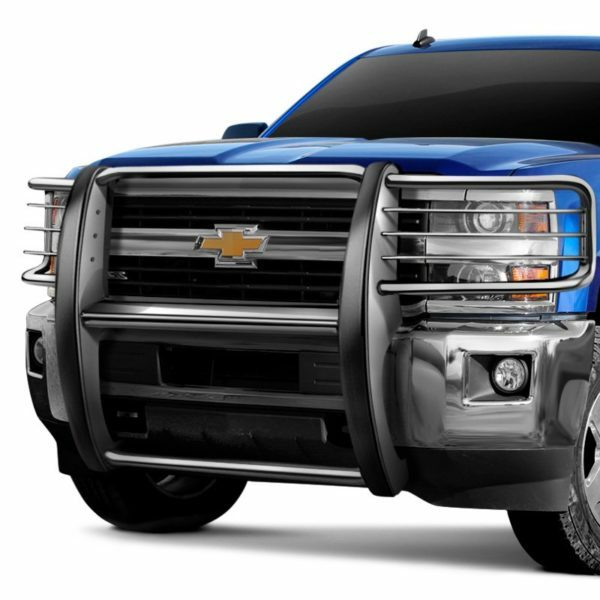 Personalize your style by choosing between the gloss black powder coated finish or the high polished stainless steel finish. The finishes are built to last the test of time and backed by a great Dee Zee warranty. These two great looks on the Dee Zee Bull Bars help you get the exact look you desire.